Make your own pasta, become a kitchen God! I have a lot of friends that live in Dublin who are ex-pats from other Countries and their common denominator is their ‘homesickness’ especially around food. 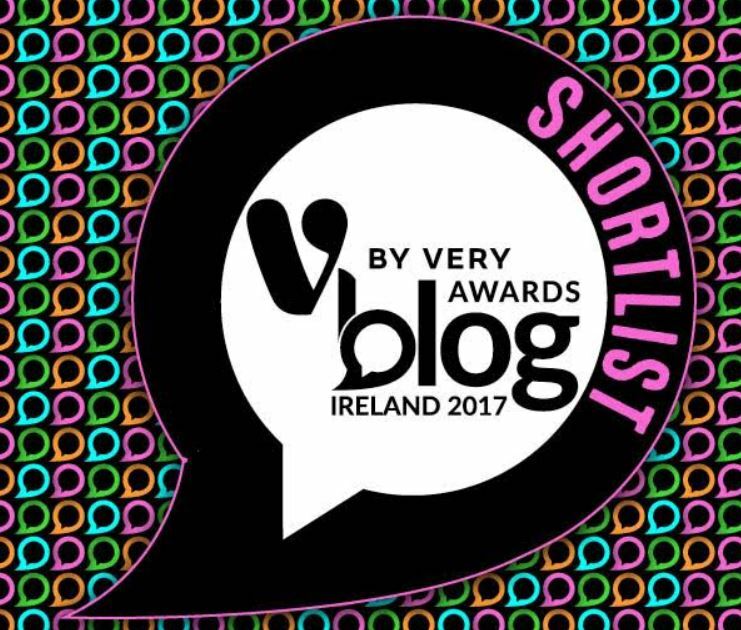 Take my pal Evelyn, she’s from Hamburg and she waxes lyrical about Heimweh (home sickness) and goes as far as to list the German places she frequents in Dublin to ease her pain! I can realte to this, homesickness and food go hand in hand so this recipe is for all of my ex-pat pals but specifically for my Italian brethren! 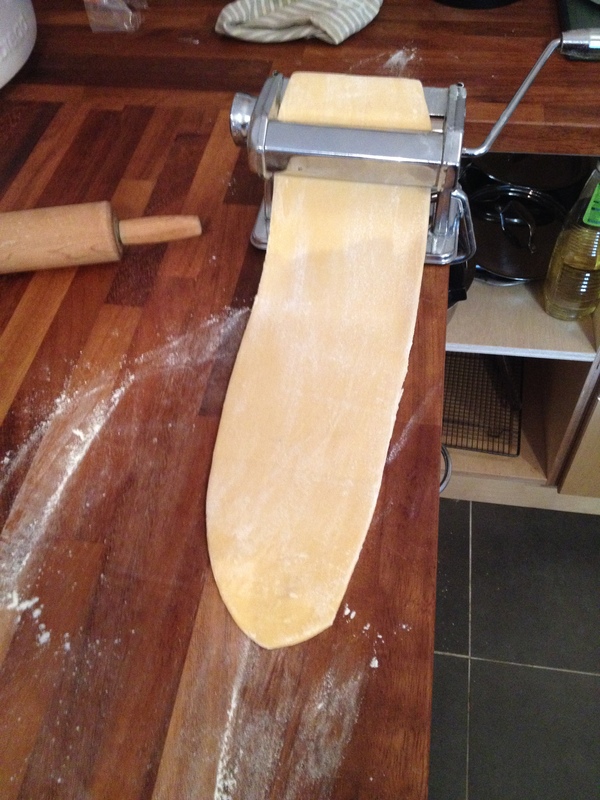 There is something deeply, deeply satisfying about making your own pasta – yes, there is effort and work required but hey if it was easy anyone could do it right? Making your own pasta does require a pasta machine, but fear not as these little beauties are cheap and widely available..no kitchen should be without one! The only other pre-requisite is a nice long workbench and maybe a second pair of hands to help you! This recipe is for fresh egg pasta, this type of pasta will need cooked right away or frozen to be used later – don’t dry fresh egg pasta! 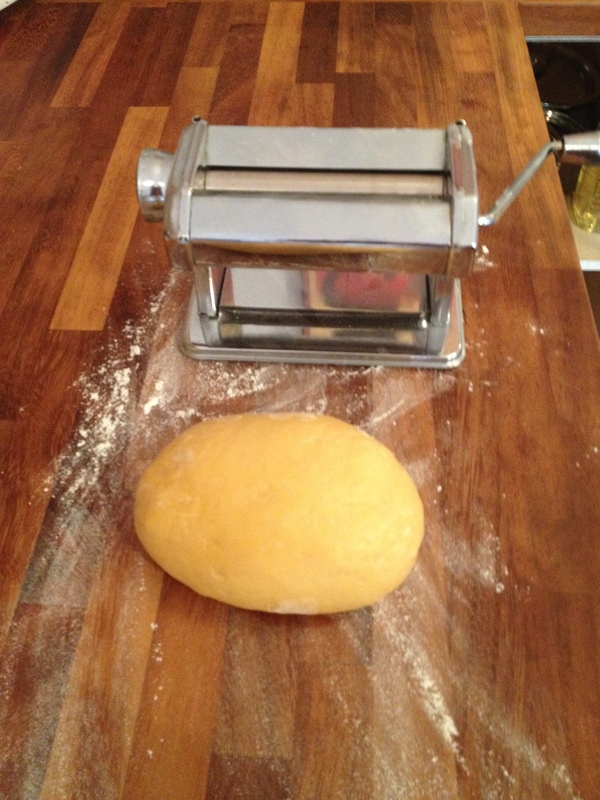 So kick off making your pasta – in a large bowl combine the flour and eggs until they form a simple dough, turn out onto a floured surface and knead well for at least 10minutes or until the dough is smooth and ‘together’. Cling and Sling in your fridge for a minimum of 30minutes. Next get your filling together – saute the spinach until fully cooked then squeeze all of the liquid out and cool right down. Combine the cooled spinach with the cheeses and egg yolk – season very well and set to one side. This takes a little bit of time, lots of flour and maybe a second pair of hands if they are available! 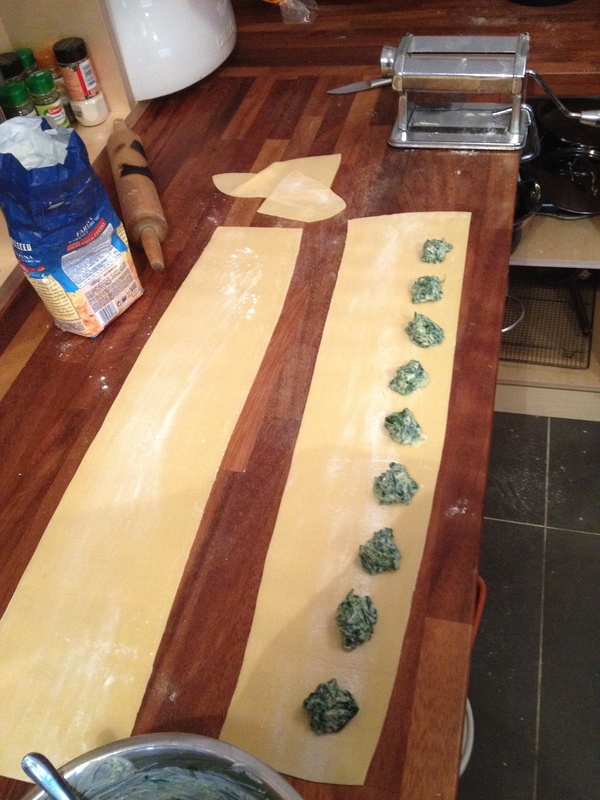 When you get the pasta dough to the required thickness then you can start to build your ravioli – simply drop a spoonful of the spinach mixture onto the length of the pasta sheet close to the bottom edge as you will be folding the sheet over on itself – to finish the cut out each Ravioli either with a knife or a Ravioli cutter. When you have built all of your ravioli you can either cook straight away in boiling salted water or freeze to be used at a later date. This pasta cooks straight from frozen and is just as good as fresh. 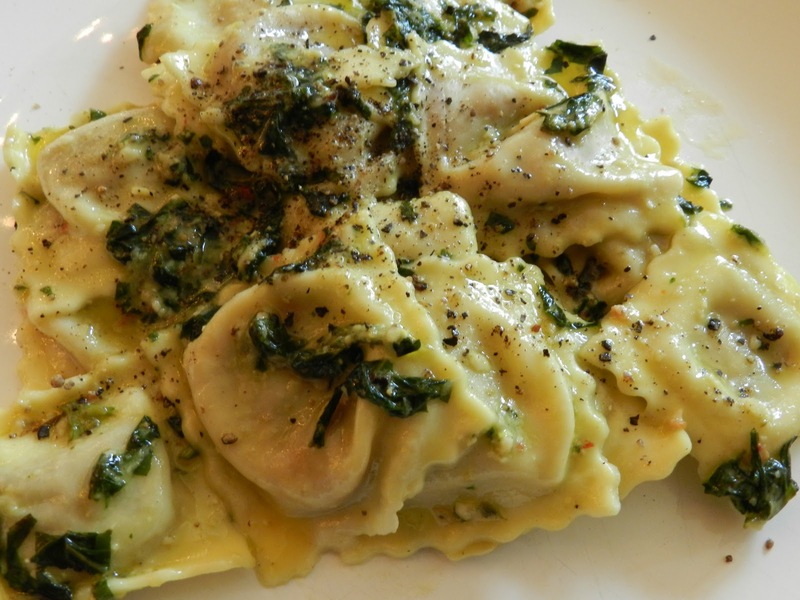 Oh my, how gorgeous those ravioli look! And so delicious too. Beautiful!